There are lot of different brands out there with more coming all the time. In reality, there are only a few manufacturers making them. 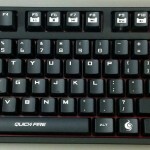 One of the best regarded, Filco, are made by Costar. Costar has been making boards for other brands using their reference design, which makes use of things like a steel plate that the switches mount to. 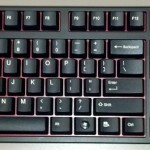 In other words, you can get a “Filco” for much less than what a Filco-branded board costs. The MX Brown seemed the most logical one to try first. It was a quiet switch with some tactile feel. I opted for the Rosewill RK-9000, which has a full 104 key set. It’s a very nice, solid board and I am extremely happy with it for typing. However, for gaming I found the tactile feel somewhat distracting. The bump in the stem that provides the feel also contributes a rough feel to the movement of the key. To address this, I picked up a CM Storm Quick Fire Rapid with MX Red switches. I find this to be much better for gaming. It’s not quite as nice for typing, but it is still better than the previous keyboard I was using at home (Saitek Eclipse II). It is a “tenkeyless” model (no numeric keypad), which is a little weird at first. It’s perfectly fine for gaming, though. It comes with some extra keycaps for the WASD and “super” modifiers. The overall look of the keycaps is somewhat obnoxious. However, it’s still a Costar with a metal mount plate and all that. It is a solid board that just needs some better caps. Normal keys and 1.5 unit keys (Ctrl/Alt, Tab, and backslash) are 2-piece. 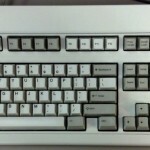 Larger keys on the Model M (ones with the guide pin, space bar, etc) are 1-piece. The 1.25 unit modifiers on the Unicomp keyboards are 1-piece. The “notched” G/H/B keys on the Endura Pro are also 1-piece. I did this mod many years ago (probably circa 2003/2004) after reading about the “soft touch” version of the Model M produced by Lexmark. The main motivation was some grumbling from my co-workers (even though the guy right next to me also had a Model M). 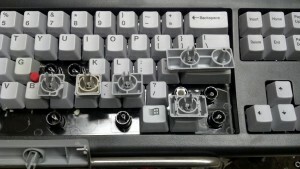 The grease suppresses the “ping” of the buckling spring without affecting the feel of the keyboard too much. It still feels tactile and still has a click. I did this to my 1994 Model M (which I bought brand-new back then). After some experimentation, I found that placing a small amount of dielectric silicone grease into the springs, avoiding the sides of the barrel, works the best. Using a toothpick or paper clip, I dipped the end into the grease tube and twirled it inside of the spring. The goal is just to dampen the ringing of the spring, not to slug the movement of the spring in the barrel. 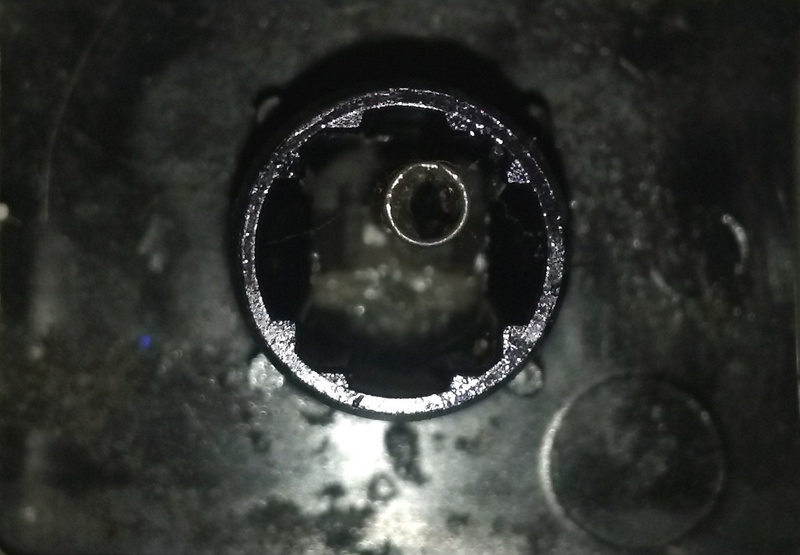 I used a small acid brush to remove any grease at the top of the spring, which can prevent the spring from seating correctly back into the key. 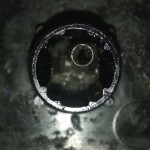 If some grease gets into the barrel, it can be removed with a Q-tip and rubbing alcohol. Adding more grease gives the keys a softer, slower feel, which I didn’t like. Trying to fill the cavity of the key can render the key intermittent or even inoperable. Definitely avoid greasing any of the stabilizer pins/inserts on the wider keys and the space bar. Some grease on the wire space bar stabilizer is OK and eliminates any rattle that it may have.